Professional Office Cleaning. What does it mean? Professional, high-quality and inexpensive office cleaning by a cleaning company is a common phenomenon in a modern world. The cleaning process is more and more frequently entrusted to specialized companies. Well, and it’s needless to say that cleaning should be done regularly. The principle “It’s clean not where people clean up, but where they don’t litter” allows only increasing the interval between bringing an office in order, but in whatever way there comes a time when you need to take up the dusters and carry out this wearisome process. The list of things required for cleaning the premises, especially for deep cleaning, is quite impressive. 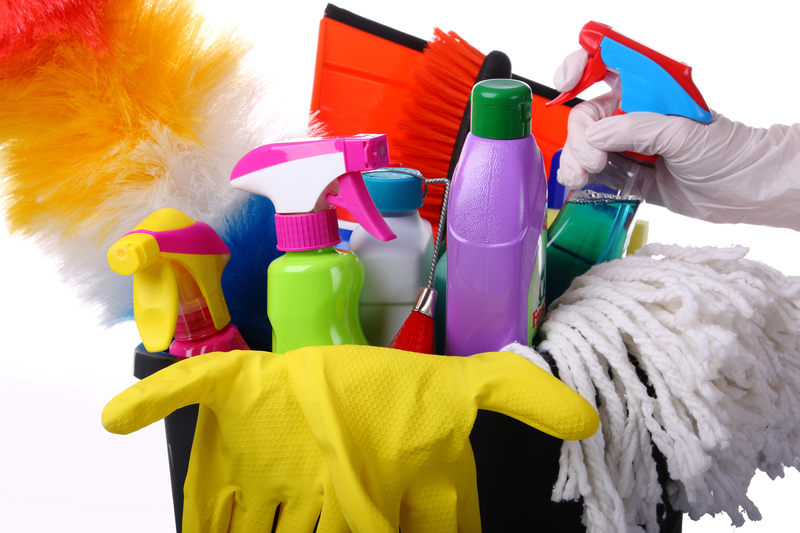 You will need mops, brooms, buckets, vacuum cleaner, dustpans, sponges and all sorts of cleaning agents. One of the principal and seemingly inconspicuous problems is dust. It can adversely affect the health of your employees, who breathe it, and some can become allergic to it. For dust control you will need special wet and dry wipes, which should always be in excess. It is also desirable to have antibacterial sprays in stock for more qualitative cleaning of surfaces. One of the extremely important points is also a proper cleaning of expensive office equipment by applying special suitable means, in order not to damage it and not to lose the information stored on the computers. Therewith, a regular cleanup of the equipment will extend its life. Office cleaning isn’t finished with this, to be more precise – it’s only the first stage of a long and hard work. Before you start to wash the floors, windows and walls, you need to use a vacuum cleaner. Dry cleaning always precedes the wet cleaning. · cleanup the office equipment carefully but thoroughly in order not to damage it. In addition you need to possess certain skills to do it quickly and efficiently. Well, you provided yourself with everything required for regular professional cleaning of the office premises in the company. But who will do it? Certainly not office workers. And it is impractical to organize your own cleaning department. Hence there comes a time to search for a cleaning lady who will thoroughly carry out her work. This is also quite a difficult problem, and the search for a reliable employee may drag on. And if you apply to a specialized recruitment agencies for personnel selection, you will have to pay them quite a large amount. The cleaning lady that you find will come to the office at regular time intervals and will establish order and cleanliness while all the staff members are busy with their work. In order not to distract the manager she can ignore cleaning the workplace and the space around it. It’s obvious that with such a superficial way of cleaning the carpets and decorative components gradually fade, monitors become dull, a thick layer of dust forms in hard to reach places… Eventually even a cosmetic repair may be needed. But the cleanliness of the office determines the reputation of the company. Clients, visiting your company, usually pay a close attention to the cleanliness and tidiness of the office. It’s never too late to think about how to maintain the cleanliness of the office. Easier not to puzzle over this question but to entrust the deep office cleaning to the team, specially prepared for this, and the price of such service will be reasonable. Especially that the professionals will have with themselves everything required for a high-quality work. You may conclude a contract for cleaning with varying frequency – from once a day up to once a month (and less often). A good practice is also to do a deep cleaning once per couple of months or more often. · the price of premises cleaning is not too high, and you will be able to return to the working rhythm in maximum short terms. In the field of commercial cleaning, the choice of companies is huge, but not all the companies meet your standards and needs. Some cleaning companies specialize in residential cleaning, others in small of big offices, not all of them have the affordable prices and flexible hours. 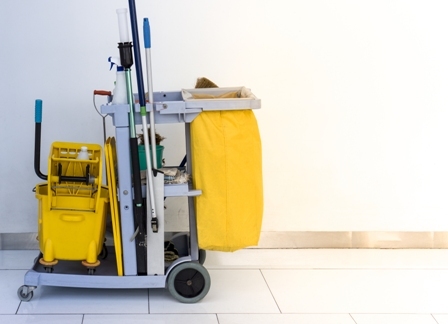 What is the right way to choose the right cleaning company for your office? Today the experts from our company will help you with the list of useful tips to choosing the right cleaning company. If you have a large office, we recommend choosing a team of cleaners. They will work more efficiently and effectively. Such teams will surely have the right equipment for larger spaces. The price for the cleaning services should be reasonable and affordable. You also need to understand that expanses on professional cleaning services will be transformed into the benefits for your office and your employees. Professionally cleaned offices seem inviting for the clients and clean environment is considered to be more efficient for the employees. You may also ask your partners or friends to recommend a good office cleaning company with affordable prices and high standards for their work. If you have any questions, we’d be glad to answer them. Feel free to contact us by phone or email, we would love to help you! 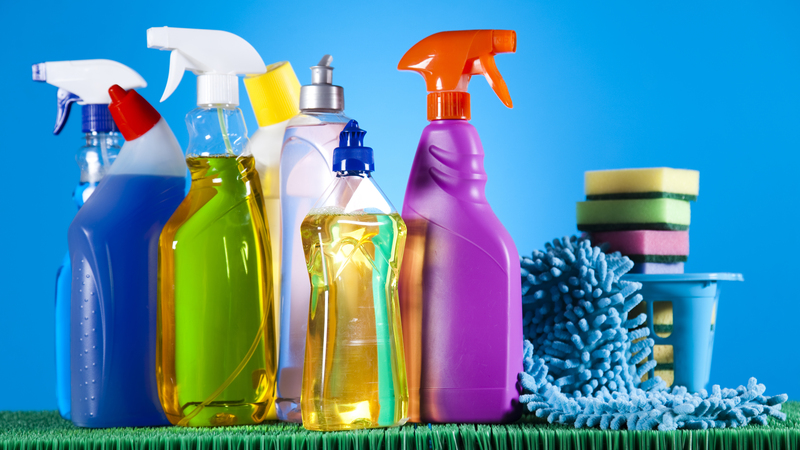 What are the main cleaning products and what they have in common? Facility Cleaning Decisions Magazine conducted a survey among the facility managers. They were asked about the cleaning products that they consistently need to order and keep in stock. The first place goes to paper towels and tissues. The runner-up is sanitizer (disinfectant) and hand soap receiver the third prize. So, what conclusions can we make thanks to this survey? Hand hygiene and germ-free surfaces are very important for any office building. If you do not have a professional janitorial company that helps you to deal with cleanliness, it is very important to keep in mind the results of the survey to look professionally in the eyes of both employees and customers. If you are looking for an affordable cleaning service, Pro Quality Office Cleaning will be glad to help you. Pro Quality Office Cleaning is the most affordable company in Washington State. We offer the best way for keeping your building with the right surface cleaning products. New Year’s Clean Up – Let’s Getting Started! The New Year has come and usually we decide to accomplish lots of things and one of them is to be organized! 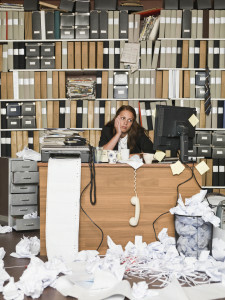 Good decision, let’s get rid of this clutter at home, at the office and in your life! Our professional crew has prepared several tips that will be helpful in the process of cleaning. 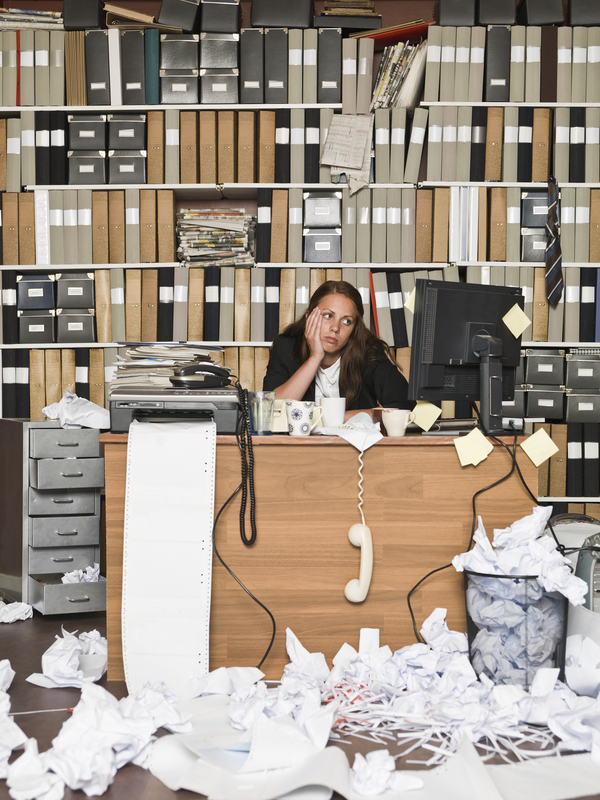 We are here to help you declutter your office! Clean office is a productive and effective office. · Get rid of unnecessary papers. You can contact a special shredding company that can propose you several choices of shredding possibilities. · Set a special day that will be a declutter day. Choose a day, once or twice a month when your employees check their desks, folders and documents. Let them clean their workplace. Buy special folders and organizers to make this process easier. · Before asking your employees to clean – start with your workplace, be a positive examples for your colleagues. Remove papers from your desk, keep all the documents in special file folders. Use organizers and boxes for the old documents that should be kept. · Be ready to develop your own archiving system. All the outdated documents should be stocked in a special area in special boxes. Keep these papers for a required period of time. Our team recommends writing an expiry date on the boxes or folders. · Keep this process going, do not stop. When you receive a document, work on it immediately: file it or shred. Why Does Your Business Need Janitorial Services? We should say that almost every business needs commercial cleaning. You may ask why? And the answer is easy… If your employees are busy with cleaning tasks, their main work will not be done properly. Your employees will accomplish tasks better if they are concentrated on the main tasks. If you want your employees work well and your office to be clean, you need to hire a commercial cleaning team. Recent researches have shown that commercial cleaning crew impresses customers. It means that if customers see janitors around the office, they feel sure that bathrooms are clean and carpets are vacuumed. At the same time your customers will know that you care about the healthy environment in your office. Professional Cleaning team knows how to make the working environment healthier. Nowadays many janitorial companies use special cleaning supplies that are eco-friendly and do not cause allergies. Cleaning companies also know how to get rid of germs and bacteria and to keep your employees healthy and your office clean. 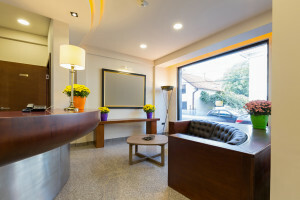 Commercial cleaning companies help business owners to work more efficiently. They free you from unnecessary stress and headaches. Janitorial companies give you the opportunity and time to be involved in more important work and control the results of your company. Free your time and enjoy cleaning environment that will boost working efficiency. If you have any questions or you need help with cleaning your office, Pro Quality Office Cleaning will gladly help you. According to new researches accountants, lawyers and employees who work with computers are the most unhygienic office workers. The same researches have revealed that two thirds of office workers eat at their desks and do not clean afterwards. Such lunches can lead to the growth of bacteria and germs that can result in the spread of flu, colds and other diseases. Experts say the social workers tend to leave food on their desks more often then other office workers. The results also showed that the germiest things in offices are keyboards. Almost all of them contain thousands of bacteria and germs. The same results are with phones – two of thee are infected. And very often office workers do not even realize this fact and continue to use computers and phones. Doctors agree that these results prove that there are lots and lots on unhygienic offices around the country. They add that keeping main office equipment, such as keyboards, phones and desks germ-free can help not to catch a disease during flu or cold season. Office workers should remember to wash their hands regularly, because it helps to reduce the spread of bacteria and germs. Use special wipes to clean computer keyboards and phones. After using this equipment apply hand sanitizer. At the same time your cleaning crew should pay attention to door handles, lift buttons, etc. They should sanitize surfaces and use special cleaners that help to reduce the number of bacteria and germs. Clean floors are very important for every office, but when autumn and winter comes it becomes harder and harder to keep them clean. Below there is the list of the tips that will help to keep your floors shiny. It is very important to stop dirt at the entrance, that’s why cleaning experts recommend using floor mats at every entrance. Outdoor and indoor mats will help to reduce the amount of dirt in the building. Ask your cleaners to mop floors as often as possible. This will help to reduce the amount of dirt and water if it is raining or snowing. Mopping also helps to remove stains from ice melting. Make sure that your cleaners know how to mop correctly and use special techniques and supplies. Floors become even much dirtier if your cleaner forget to clean the equipment. Ask the cleaning team to change water in the bucket more often and to use special detergents and chemicals. If your office chooses to go green, there are lots of environmentally friendly cleaning supplies. Deep cleaning is also very important and it should be scheduled and regular, especially in winter. Deep cleaning will help to preserve floors from damaging because of water. Make sure that your cleaning crew is trained and knows how to get rid of dirt. But if you feel unsure and don’t know how to clean your office floors correctly, call us and we will help gladly. Office areas have thousands of different places and spots that should be controlled by a janitorial company. What are the spots that may be really important for offices and its’ visitors? One of the main parts of the office which require a lot of attention are restrooms. It is one of the hardest things to clean and to keep clean. That’s why it is very important to use the help of the professional cleaning companies, who pay special attention to the proper and appropriate cleaning. 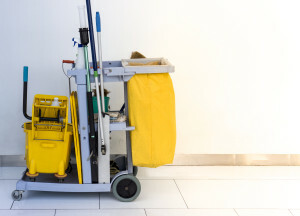 Make sure that your janitorial company cleans every part of the toilet, including the seat (it very importance for the health of your customers and employees), clean the sink and remove the trash from the trash cans, clean the mirrors and replace soaps and other items, as well as deodorize the entire room. The most popular areas are the other important aspect in keeping your office clean and shiny. The reception desk and all the areas around should be dusted properly and no odor should be present, unless it’s a pleasant one. For many offices it is very important to have cleaning crew after work hours. The common office services should include vacuuming and sweeping of the floors, sanitizing of the areas, which are commonly used and touched by a great number of people, emptying the trash cans and replacing the bags. Clean office can enlarge the sales, increase the efficiency and be the face of your company. Choose our company and we will gladly help you.